Onkyo's ultra-low profile soundbar and wireless subwoofer will support DTS Play-Fi, Amazon FireConnect, Apple AirPlay, and all the streaming services you know and love. 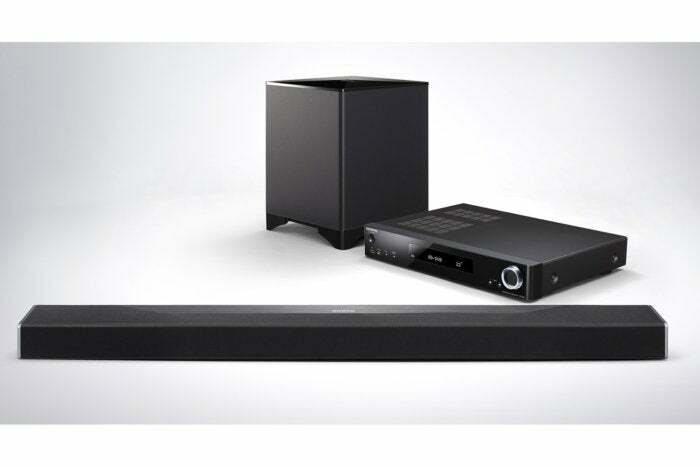 Onkyo says the SBT-A500 Network Surround Soundbar it announced at CES last week is designed for gamers, music lovers, and movie enthusiasts looking for a low-profile, networkable speaker system that supports all the most popular music-streaming services and that can be incorporated into a mutli-room audio system. The SBT-A500 is just 2.1 inches high, so it won't creep into your TV's field of view if your gear is installed in an entertainment center. The low profile is possible because the amplifier, I/O ports, and other electronics are housed in an external box that connects to the speaker with a single umbilical cable. 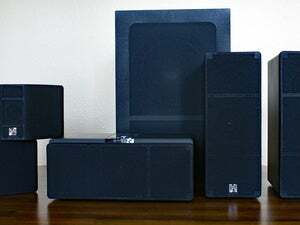 A wireless subwoofer delivers low-frequency effects. The slim A/V receiver houses an amplifier, network adapter, and audio processor, along with four HDMI inputs for source devices such as a media streamer and a game console. There's support for the HDMI Audio Return Channel, of course, so that the speaker can enhance your TV's audio output, too. The SBT-A500 seems well-suited for the increasing demand for object-oriented audio in both movies and gaming. The SBT-A500 supports Dolby Atmos and DTS:X and will simulate overhead sounds and effects for an enveloping audio experience by creating virtual height and rear speakers. There aren't discrete speakers so your your mileage will vary. The effectiveness of virtual speakers depends on the type of ceiling you have and the dimensions and physics of your room. Nevertheless, you also get Dolby's and DTS's supporting technologies as well. Dolby Surround up-mixer decodes and directs sounds to all of the speakers in the sound bar—including up-firing capabilities to provide a higher sense of immersion from all channel-based content. Dolby also adds a new Surround Enhancer technology that wraps sound around the listeners by creating virtual rear speakers. DTS' Neural:X performs similar duties and will up-mix standard multi-channel audio to 3D sound. One of the main (if not the main) complaint people have with modern TVs is dialog intelligibility through the terrible speakers built into most TVs. That's where DTS's other technologies come into play. DTS:X has the ability to support discrete dialog volume adjustment for DTS:X soundtracks. While the number of DTS:X Blu-ray and UltraHD Blu-rays remains sparse, it's an exciting future technology. Onkyo's Controller app brings together wireless casting technologies. The app simplifies access to TuneIn, Tidal, and Pandora services, and it centralizes house-wide audio distribution to optional FireConnect-ready wireless speakers. The easy-to-use app complements its on-screen GUI with system remote controls for each zone. Spotify Connect lets subscribers stream direct from the Spotify application if they so choose. Dual-band 2.4/5.0GHzWi-Fi is included for seamless app-based music streaming, and there's Bluetooth connectivity, too. There's also support for DTS Play-Fi, Apple AirPlay, Chromecast, and FireConnect multi-room distribution. (Play-Fi and FireConnect will be enabled via a forthcoming firmware updates). In case you're old school and have a favorite local radio station, you won't be left hanging. The SBT-A500 has with a 40-preset FM tuner with AV sync function. The only thing seemingly missing here is the kitchen sink. Onkyo says the SBT-A500 will retail for $999 when it ships later this month.